After months of construction work to renovate the storefront, and sometime of buying products from the public. Once Upon a Child, will now host it's grand opening for their new retail store in North Spokane. This will be the second location for the chain in the Spokane market, with another store also open for business in Spokane Valley at 14401 E. Sprague. This new Once Upon a Child is located in the same shopping plaza as Louisville Laser at 6005 N. Division. The store is just like all other Once Upon a Child's in that they buy and sell gently used " kid stuff " Of course they do have a large selection of children's clothing, but also toys & games, books, movies, baby equipment and some furniture. The merchandise is marked usually 70% lower then the retail prices, saving their customers money. Also, the store will continue to buy merchandise from the public even after the grand opening. Although Once Upon a Child's merchandise is purchased from the public and not the wholesale route, the stuff one will find is still of top quality and up to date. The chain has a high merchandise standard, inspecting all toys and equipment and checking for any product recalls. The new North Spokane store will open for business, today Jan. 28th, 2016 at 10:00 am. If you happen to be in the area they will also be giving away 5 $25 gift cards to guests on their first day. The new location is a franchise location and has roughly 4,500 square feet of space and will create around a dozen + new jobs. Open for business in the former home of Heroes & Legends Sports Bar at 829 W. Riverside, has been a relatively new bar & restaurant, called 24 Taps. 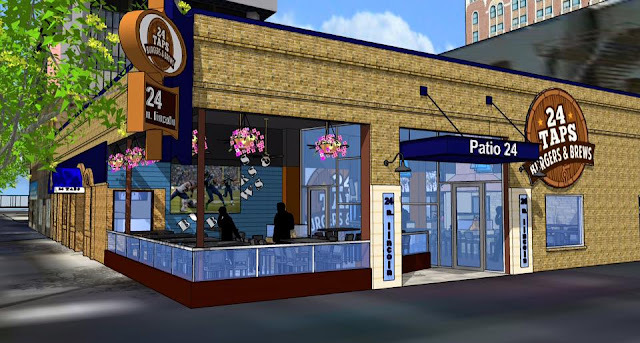 24 Taps is a sports bar with a growing customer base. And, they must be doing very well as the restaurant announced a major expansion just yesterday. They plan to expand the restaurant into the vacant storefront next door to their current location. 24 Taps will renovate the storefront, turning it into more dining areas. Also, the front of the building will be converted to a patio dining area called Patio 24. And, in a coincidence the new restaurant space will move the entry onto Lincoln, meaning the address will be 24 N. Lincoln. Construction will start very soon as building permits have now been issued, if it goes as planned the newly expanded space will open in April. 24 Taps is a locally owned and operated sports bar with 24 different cold beers on tap, many of them craft and / or local beers. The food is a definite highlight of 24 Taps however, with many appetizers , sandwiches , salads and of course burgers. Customers will find many gourmet burger choices at 24 Taps, from the common to the rare like a poutine burger and a grilled cheese burger and more. 24 Taps provides a great place to catch most any sports game, with several TV's attached to the walls, airing most any game. It is also a great spot for a quick lunch as it's nearby River Park Square and some of Downtown Spokane's employers. Coffee stand owners, and coffee junkies will want to take make note of a new business now open in Hayden. The Coffee Market is located inside the same building as The Dome Indoor Soccer facility after branching off of the Midway Restaurant Equipment store in Coeur d' Alene, which is now under new ownership. Their address is 167 W. Miles Ave. , just east of US 95. 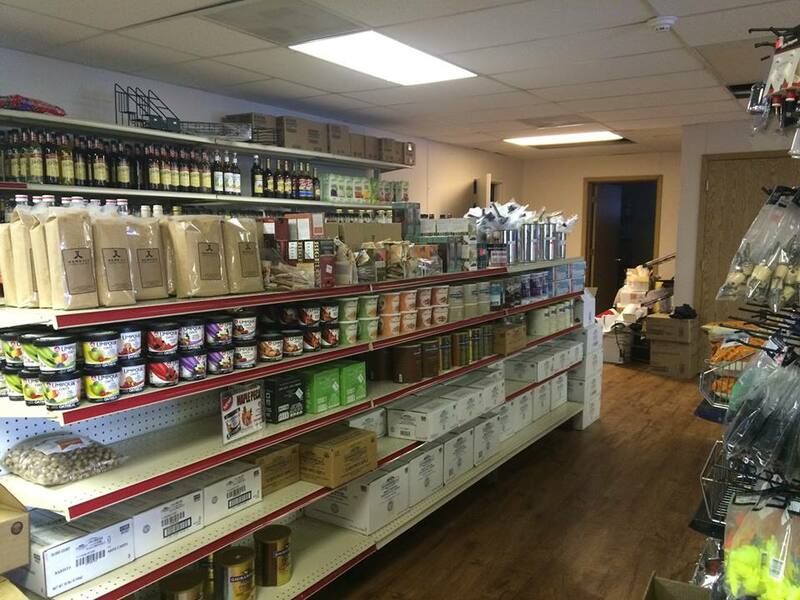 The Coffee Market is a locally owned and operated small business that sells all kinds of supplies for coffee stands and coffee shops. But, unlike some similar businesses, they are a retail shop that is also open to the public. The plan, which has not yet been officially approved calls for the new hotel to be built on a portion of the property. The hotel would be 4 stories with 56,000 square feet in all and an undetermined amount of new jobs created. The hotel will have 108 guest rooms and an on site surface parking lot. Some surplus land would also likely be developed but as of now no plans are in motion for that space, perhaps a restaurant or similar. A drive though location of the Lean Bean Coffee also sits on the lot, directly off of the main road, the land owners hope to keep them in place at the site. Opening as soon late February, Hillyard Library Sports Bar & Barbershop is coming to Hillyard. The business is planned to open in a historic building at 2935 E. Olympic and is coming from the same ownership as Stationhouse Pizza, also in Hillyard. Hillyard Library will offer a full bar with a liquor license recently filed for. In the bar area they will have a virtual golf simulator and TV's for sports games. The building will also house a new barber shop and tattoo shop. The Bartlett, an all ages live music venue in Downtown Spokane is growing it's business with a new bar in the same building. The Bartlett's bar, which is simply called The Bar, will be opening sometime this month. The Bar is not large but will offer a full bar with cocktails, beer, hard cider and wine. A small one page menu of food will also be served, making this a perfect place to stop before a show at the Bartlett. The Bar's address is 228 W. Sprague, directly across Sprague from the Spokane Intermodal Center. Now open for business in Downtown Spokane's former Vault Social Club's space is a new bar and live music venue called The Reserve. Their address is 120 N. Wall St. The Reserve has a nightclub style look with many lights and modern / hip look. The business has a full bar and a small food menu, that includes sandwiches, burgers and more. Catering is also available from their kitchen. Tedder Properties, a branch company of Tedder Industries has purchased both buildings of the North Idaho Outlets on Riversbend Ave. in Post Falls. Tedder Industries , will lease the south building back from Tedder Properties for a manufacturing operation and corporate headquarters location. This after significant renovations, since the building has been empty for sometime. A goal is to have Tedder's operations moved into the building by " spring or summer". Tedder Industries is a locally owned and operated company making the Aliengear gun holster line. And, although Aliengear Holsters are primarly sold online, they will likely have some sort of retail store at the site. The company will move to the former outlet mall from two locations in the Coeur d' Alene / Hayden area. The move will relocate all of the companies 300 employees, but will likely not create any new jobs. However some more jobs may be created as the company grows, which happens a lot since the company started in the owners kitchen. The north building of the outlet mall will also be renovated, but that building will be leased out to businesses. It will no longer be an outlet mall, but instead be marketed to local businesses, with no new tenants there as of yet. The north building also still contains a small selection of retail businesses, none of which will leave as the owner says he's not kicking anybody out. Leasing for the newly renovated retail spaces will be done locally at a staffed on site office. We're keeping an eye on this project for when construction will start and what new store / restaurant tenants may go into the buildings. A second outlet mall nearby, the Post Falls Outlet Mall is not involved in this project, only the North Idaho Outlets at 4199 & 4300 Riversbend. Renovations of the Ridpath coming back on track... again. Ridpath Club Apartments plan moves foward ( photos and floor plans included ) - Posted in 2013, not all info is guaranteed, but assumed to still be the plan. Despite some construction work already being underway, another development group, with a completely different plan recently blocked Wells from his plan to bring more housing to Downtown Spokane. That group, which included local businessman Steve Antonietti , had topped Wells' bid for a main block of the building, which is divided into " condo " space with many different sections and different owners. But now, we're learning that Antonietti's group, has missed a series of deadlines to pay for their bid on the building's units. That group also had hoped to redevelop the Ridpath Hotel , but they hoped to turn it back into a hotel. The group, claims to be working with the Hilton hotel chain to re-open the building as a Hilton. 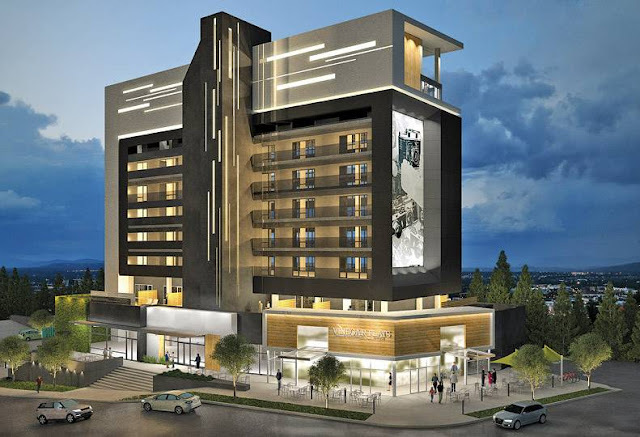 This is however after the opening of the large Davenport Grand Hotel, just blocks away, and a Hampton Inn also coming soon to Downtown ( more on that soon... ). Although this news means Ron Wells can move forward with planning, it doesn't mean it's official yet as there are still parts of the building that are not his. Wells will go to court next month to make the purchase official. 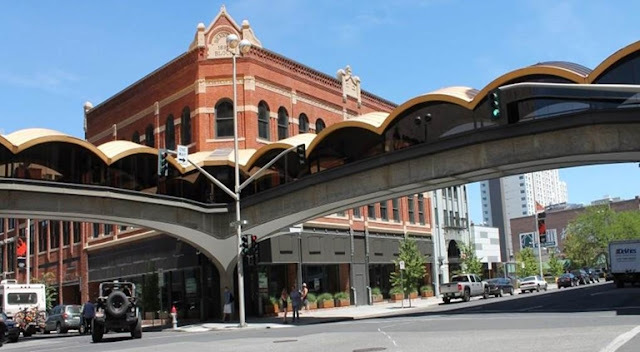 If he is successful with acquired the bulk of the building it will be huge news for Downtown Spokane, bringing more residents into the city center, allowing for more new business and even more new life Downtown. It's finally felling like we're nearing the end of the almost never ending legal battles that have surrounded this historic Downtown high rise. Because of the large amount of new apartment complexes popping up in today's Spokane real estate market, I don't always get them posted on this site. But, there is one purposed apartment development that is so large it deserves a mention on this site. 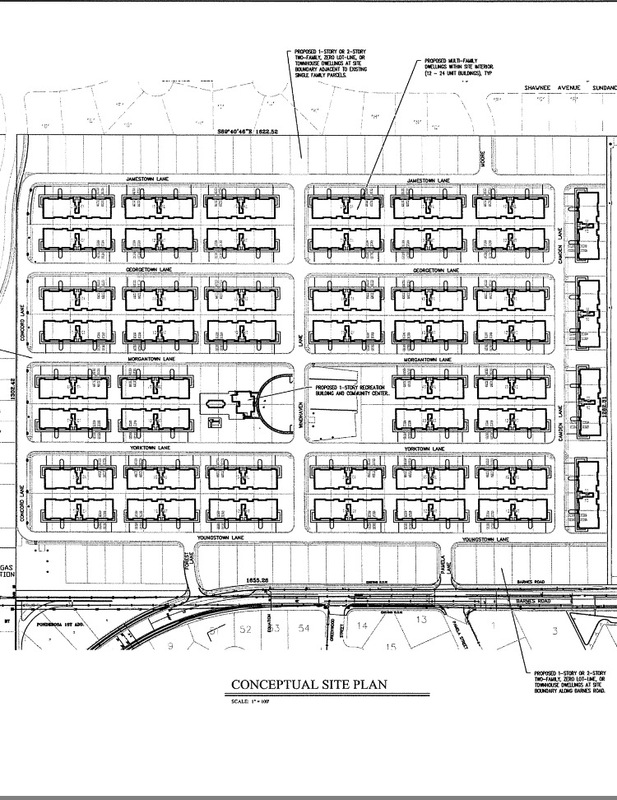 In the Indian Trail neighborhood, on a " ghost subdivision " near the corner of Barnes & Pamela is where a developer is planning what would be one of, if not the largest apartment complexes in Spokane. Morningside Investments,LLC , with local developer Harley C. Douglass involved, are purposing building as many as 48 apartment buildings. The new, massive, apartment complex has yet to be named but may contain as many as 1,485 apartments. The plan is only " conceptual " and is still in the planning process. Many neighbors in the neighboring subdivisions have already raised issue about the huge complex. Their issues include the potential for more traffic in a already growing area, and the potential for more crime. Because of this, we expect to see this project in the news on and off in the coming weeks. 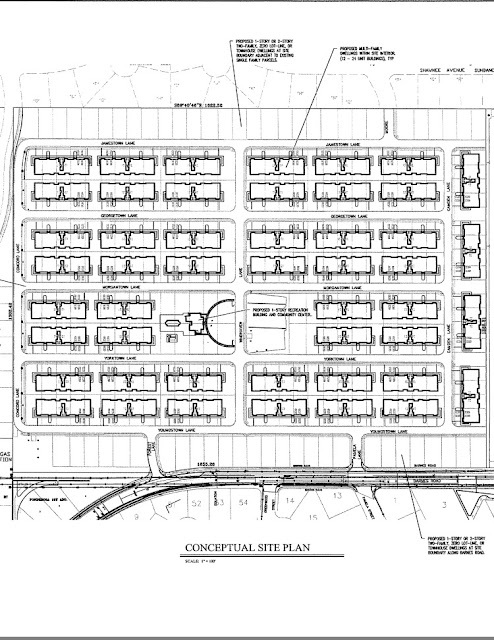 If built as the plan stands today, some other lots will be set aside for 2 unit apartment duplexes and a community center directly in the center. One of the most well known Spokane legal teams, with roots dating back several decades, Cooney Law Offices, P.S. is moving and expanding. The firm has been in business in Spokane since the 1940's practicing several different types of law. But during it's entire history, Cooney has been a part of the Garland District with offices at 910 W. Garland, that is until later this year. Cooney Law Offices, P.S. practices wills & estate planning , probate, personal injury , family law and criminal defense. There is no news as of yet about what business(s) may occupy the firm's former home in the Garland District. 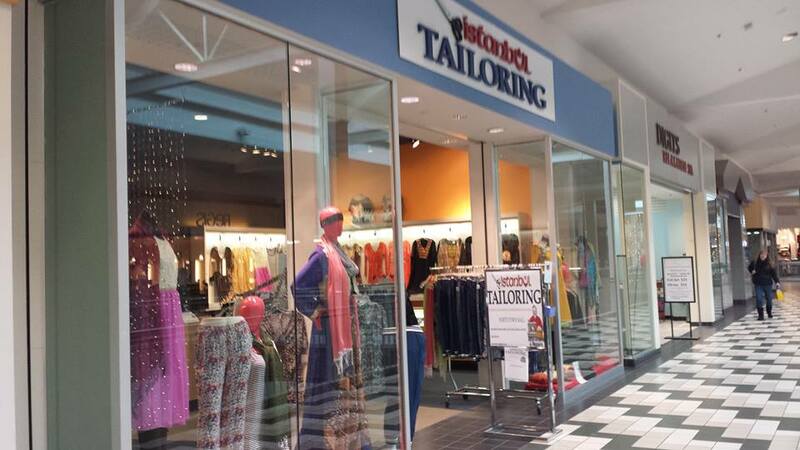 Northtown Mall has a new tenant called Istanbul Tailoring, and is not only unique to the Mall, but all of Spokane. That's because Istanbul Tailoring is both a full service alteration shop and Middle Eastern apparel retail store. The store is small but friendly, located on the second floor of Northtown, in between Thomas Hammer Coffee and Digits Relaxation Spa. In addition to tailor and alteration work, the store's front has a good selection of women's clothing and Middle Eastern apparel including " modest and trendy " hijabs. The store is open the same hours as the mall and joins a growing list of locally owned and operated businesses that have filled space in Northtown. 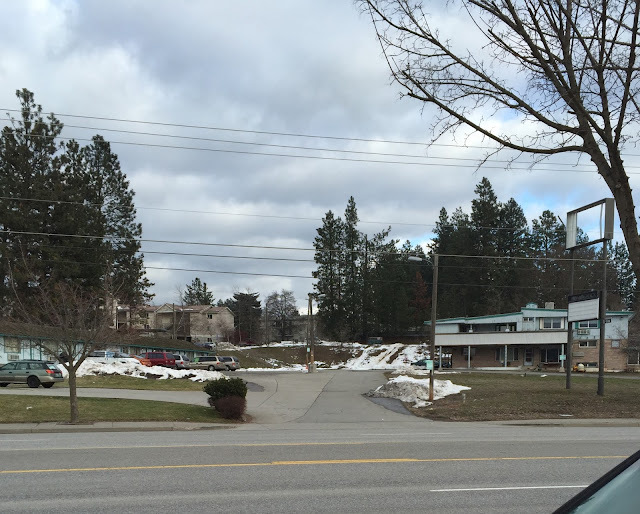 Today the lot sits vacant, in a quiet and somewhat forgotten corner of Spokane. But if developers, Namva Chan & Johnathan Chan succeed with their plans, a new mixed use high rise will soon rise at 2020 W. Seventh. The planned building is right along I-90 on the Lower South Hill and will act as a gateway to Downtown Spokane. Under the plan, the project's ground floor will be a food court with a variety of ethnic restaurants. Floors 2 thru 7 will be residential, with 52 total apartments. Some of the apartments will be available to the public for leasing. But, 21 apartments, all one bedroom will be set aside as housing for international exchange students. The apartment sizes and floor plans ranging from small micro size, up to 2,500 square feet. Leasing rates have not yet been decided for either the apartments or the food court spaces. A underground parking garage is also to be included at the building. Keep watching for more when construction begins. As mentioned in a previous post here on Inland Northwest Business Watch, the 17th floor penthouse at the Paulsen Center is perhaps one of Spokane's most prestigious commercial properties. The space was once an apartment for the Paulsen family, who also built the now landmark office / retail tower in the heart of Downtown Spokane. The penthouse space lately has sat empty however, but we're now learning that will soon change. The penthouse has been leased by local businessman, Vincent Bozzi, with plans to open it to the public as an event center. The space promises to be one of the most elite event locations in the Spokane area with it's sweeping 360 degrees views. The space is not huge, but good enough at 2300+ square feet and multiple luxurious rooms. 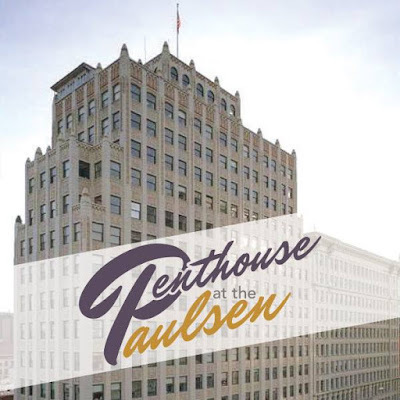 The new event center business, which will be called Penthouse at the Paulsen, is planned to open for business this Spring. Penthouse at the Paulsen will be open to most any kind of event and will likely host many of the events and party's Mr. Bozzi's Bozzi Media business hold on a fairly regular basis. Penthouse at the Paulsen, will be the second event facility owned and operated locally by Bozzi. He also owns the Chateau Rive center on the lower level of the Flour Mill near Downtown. The new event center seems to not have a website / social media page set up yet but keep watching for more information. Although it opened later then expected, the second location De Leon Foods is now open for business in Spokane Valley. The new location is 17,000 square feet, created roughly 15 new jobs and is similar in some ways to the original De Leon store. The original store is also still open for business at 102 E. Francis in North Spokane. 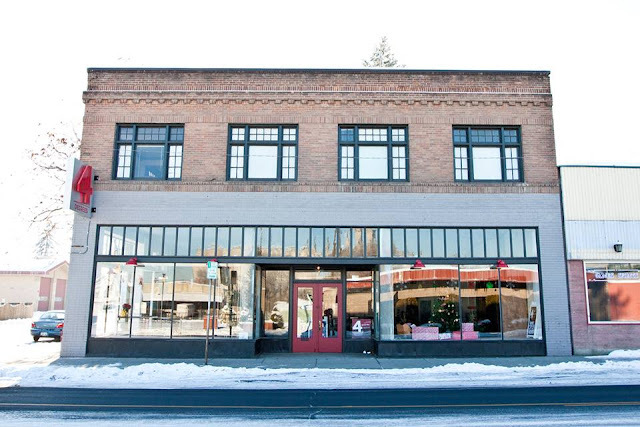 The new store is in the former Hancock Fabrics storefront at the corner of Sprague & Sullivan ( 15530 E. Sprague Ave. ). The new De Leon Foods location has a modern look and appears to still not be fully set up yet, but still already and exciting addition to the Spokane Valley business scene. And, just like the original De Leon Foods, this location also has a full Hispanic grocery store. Catering services are also available and a tortilla factory is also about to open, making tortilla's faster then the tortilla operations at the North Spokane store. That even includes their popular blue & green tortilla chips for the Seattle Seahawks. One of the longest running new business rumors in our area is that Costco is moving it's store on N. Division. And, while construction has yet to begin at the new site, it looks to now be official that Costco will be moving. The exact timeline for this move however is not yet known. The North Spokane Costco has submitted plans to close it's store at 7619 N. Division and build a new bigger store a couple of miles to the north. The plan currently is to build a 160,000 square foot warehouse club store at 11700 N. Newport Hwy. . The site is directly on US 2 in a growing area a little bit north of the Nevada Ave. intersection. The store will sit on a 15 acre site currently vacant and owned by Kaiser Aluminum as part of their former Mead works campus. The new store will be almost 30,000 square feet larger then the current N. Division store. In addition the new plans for the new Costco on Newport Hwy. show a 7,500 square foot Costco branded gas station, significant larger then the one at the current store. While the new Costco will likely attract more shoppers, and maybe create some new jobs, it is not without controversy. This is because the new store location will move the store, and it's tax dollars , from within the Spokane city limits into Spokane County. This is the second time the City of Spokane has lost Costco's tax dollars as the company moved it's store near Downtown to Spokane Valley a few years back. Costco is based in Issaquah, and now operates near 700 club stores worldwide. The company is known for it's bulk items, low prices and higher then average paid employees. The small restaurant space, in Spokane Valley's former GTX Truck Stop building, is being remodeled for a very exciting new locally owned and operated restaurant. 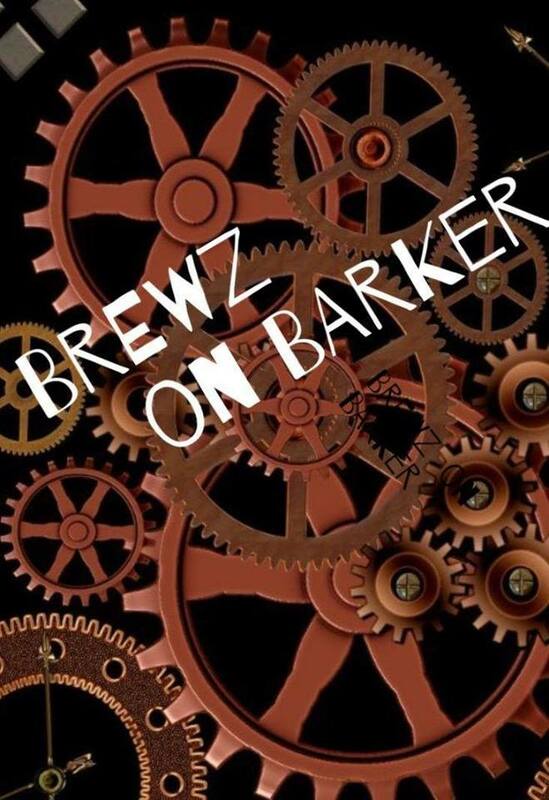 This new restaurant will be called Brewz on Barker and is planned to open for business on February 1st. Brewz on Barker will be primarily a breakfast restaurant with a small lunch and dinner menu also available. The " Brewz " part of the business name likely refers mostly to the premium coffee the business plans to serve as they have already stuck a deal to serve the Spokane based Anvil Coffee Roasters coffee's in their business. The actual food menu for Brewz on Barker has yet to be released as of my writing this. But, they promise to have premium cuts of meat and delicious breakfast options , including healthily alternatives. And, the drinks will be just as big, with beer and wine and a " make your own " soda bar so every customer can get exactly what they want. Basically Spokane's only option for Brazilian cuisine , Rio Grill Brazilian Steakhouse, unfortunately has closed down their full service restaurant. That space, which is on S. Regal near 57th, has already started the transition into a new second location for Poole's Public House ( see previous post ) . But fans of Rio Grill don't have to worry as the business is not gone, just revamping. Rio Grill is actually only closed temporarily as they transition themselves. 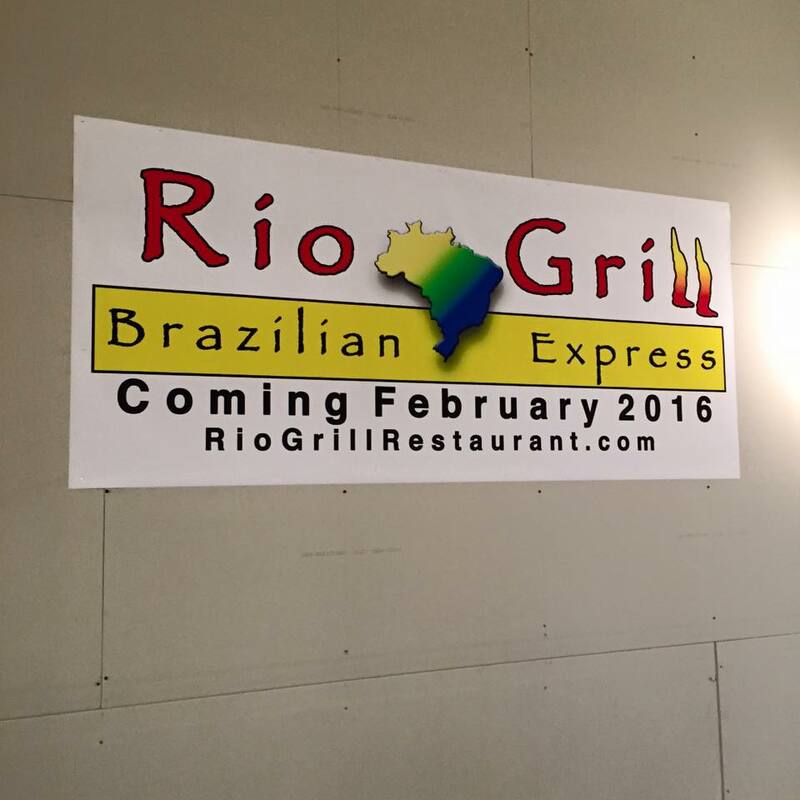 The business is becoming a new place called Rio Grill Brazilian Express that will open soon at River Park Square in Downtown Spokane. 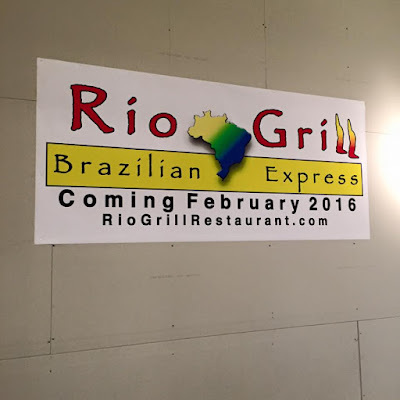 The new Rio Grill Brazilian Express is currently scheduled to open around the first of February and will be located in River Park Square food court on the mall's 3rd floor. This new location will be, basically, a fast food restaurant but with much healthier alternatives . The new restaurant will serve menu items cooked on a churrasco grill, that rotates the meat frequently over an open flame. Menu items can be served as either an entrée or in salad form and all items are served fresh. While it was recently announced that the Downtown Spokane Macy's store will close it's doors in March, the news is not all bad for the businesses in the city center. This as, another new national clothing retailer, announced today, plans to open a store in the newly renovated Bennett Block building. The retailer is the popular outdoor / work gear company, Carhartt . The company will be the anchor tenant of the building, going into the vacant space at the corner of Main & Howard. Construction will start soon with the business opening planned for sometime in the fall of 2016. The space the store is opening in is roughly 5,800 square feet and there is no news as of yet about how many jobs this store will create. Carhartt is based in Dearborn,Mi and is a family owned company, that is still operated under the supervision descendants of the company's founder. The company, which is known for it's durability and reliability has been around since 1889 and continues to grow. 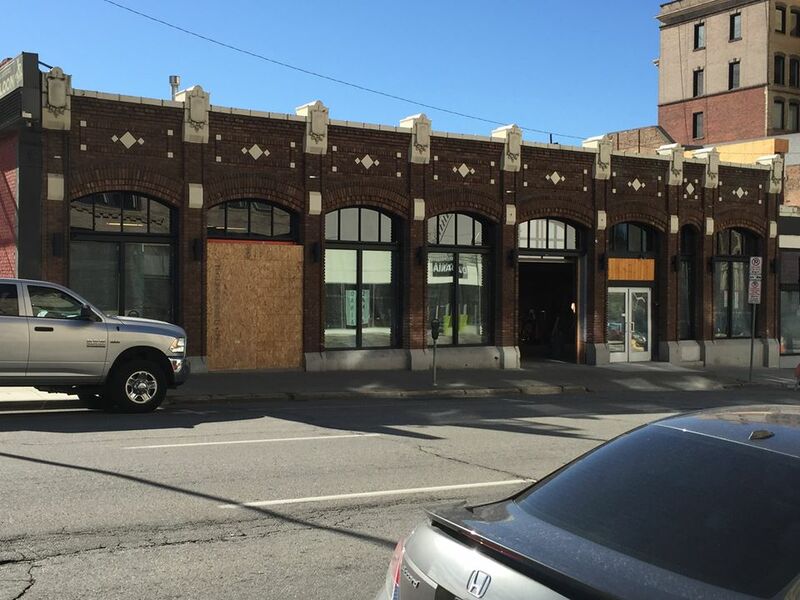 The Downtown Spokane Carhartt retail store will be the first of it's kind in the Inland Northwest, with the next closet store being in the Seattle area. The news of the Carhartt store opening also means the Bennett Block Building's ground floor retail space is now completely full. This after the historic building was fully renovated and updated just recently. Other tenants in the building's ground floor space include Mizuna , Rocky Rococo Pizza and Indaba Coffee among some other office tenants on the upper floors. Some other spaces are also still available for lease, with NAI Black marketing the building. A newer real estate sales business has been busy in recent months, both selling real estate and renovating a historic piece of commercial real estate here in Spokane. The building the new business, 4 Degrees Real Estate , has been renovating is right in the middle of the E. Sprague district at 1826 E. Sprague, corner of Sprague & Magnolia. They plan to use the two story building with large storefront as a new headquarters office for their real estate operations, replacing leased space elsewhere in Spokane. 4 Degrees Real Estate is nearing completion of the building renovations and will hold a grand opening celebration on Jan. 15th from 4-8 pm. The grand opening event will have appetizers, drinks, music and more and will introduce the public to all the locally owned and operated 4 Degrees Real Estate has to offer. The real estate office offers both real estate sales and property management services, so far the company has been successful, standing up to the big national real estate chains, and with the new office 4 Degrees Real Estate will be able to make more sales / leases , and possibly bring on more agents. Currently they employ 5 real estate agents and 3 employees, and are now hiring for more. The newly renovated 4 Degrees Real Estate building, was last used as a boxing gym that relocated to Downtown. The new location is 6,000 square feet with a more modern vibe and free parking just steps from the front door. Four residential units are also now on the second floor. Exciting news as it looks like Spokane, will soon be attracting some major comedy shows, with the announcement of a new a comedy club coming to a building Downtown. 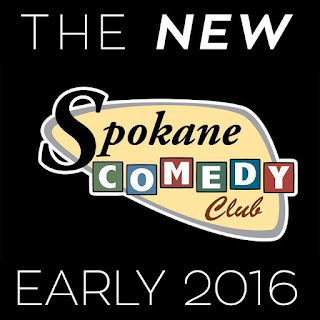 The club is being started by the same people behind Tacoma Comedy Club in Tacoma. Spokane Comedy Club will be opening sometime in the Spring, with an opening date to be announced in the future. In addition to live comedy shows, the new club will feature a full bar and some concessions. The second restaurant in the newly renovated Burgan's Block building is officially now open. 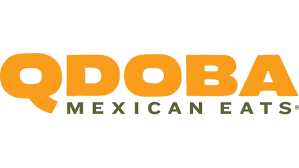 The restaurant is a chain location of Qdoba Mexican Grill and occupies a little more then 3,000 square feet of ground floor space. Qdoba joins Caruso's Sandwiches & Artisan Pizza and Ruby Suites, an extended stay suite hotel as tenants in the once vacant building at 1120 N. Division . The new Qdoba Mexican Grill location is a bit different and more unique then other Qdoba locations in the Inland Northwest. The location features brighter colors, bolder design, distinctive furnishings, free wifi and offers ( along with all other Qdoba's ) new menu items like their "Knockout Tacos" . This is the fourth location for the chain to open in the area, and serves the growing University District neighborhood with freshly made burritos and some other Mexican specialty's served in a fast casual restaurant style. Catering services are also available with a full buffet style setup available for groups of 10 or more. The new Qdoba in the Burgan's Block Building is open Sun - Thurs. 10:30 am - 10:00 pm and Friday - Sat. 10:30 am - 10:30 pm . Another new tenant has been secured, following the recent extensive renovations at Downtown Spokane's historic Hutton Building. That new tenant is the rapidly growing, locally based accounting firm Anastasi, Moore & Martin, PLLC . The firm has bought the sixth floor of the building to act as a new main office for the business. They will use the entire floor which equals 9,200 square feet of prime office space. They will move there from smaller quarters, not far away at 104 S. Division St.
Anastasi, Moore & Martin, PLLC has grown to now employ over 40, and will likely continue to add accountants and more staff in the future. The firm, which boasts a A+ rating from the Better Business Bureau offer many financial services to both individuals and businesses. Among the services offered are- Estate planning, audits , payroll , cash flow management, tax preparation and much more. All services are offered year round. While not leaving Spokane, Macy's has announced it will close it's landmark store in Downtown Spokane. The store, which has been a department store for many decades, was hit as part of another round of store closures by the Macy's chain. The company plans to close up to 40 stores nationwide, including Downtown Spokane and another store in Moscow,ID . The store's last day will likely be in March and will result in lay offs for the stores just under 100 employees . Macy's however will remain open for business in Northtown Mall , Spokane Valley Mall and Coeur d' Alene's Silver Lake Mall. This closure comes as the neighborhood around the Downtown store is seeing many improvements, like a Urban Outfitter store under construction right next door, and many new stores in the 400 block of W. Main. 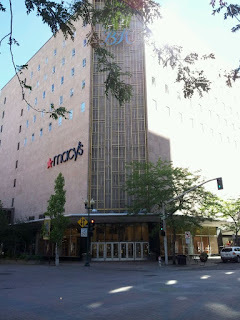 The Macy's closure also leaves Downtown Spokane and River Park Square with only one department store, the Nordstrom store about a block north of Macy's. Because the closure was unexpected there is no news about what business or businesses may take over the retailers large 11 story building. Later this year a new microbrewery will be calling N. Argonne Rd. home. 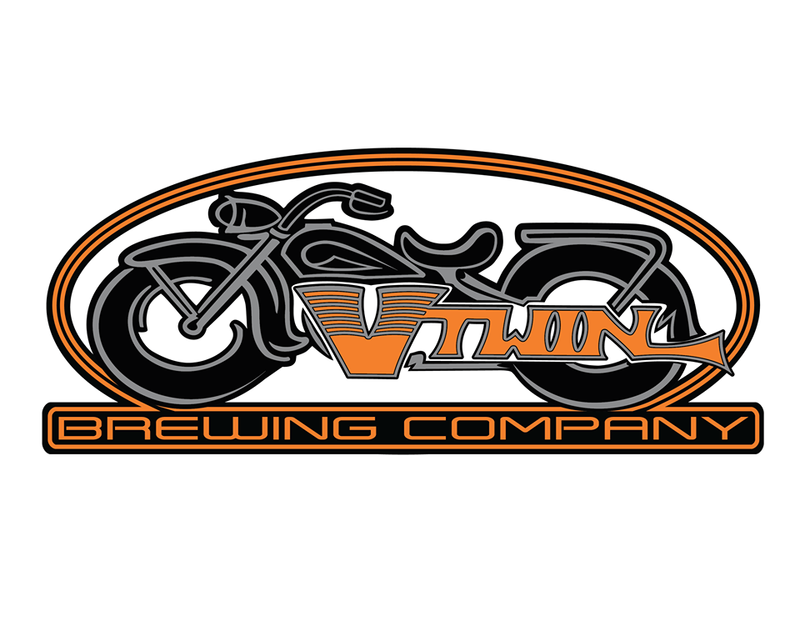 That new brewery is a motorcycle themed brewery called V Twin Brewing Company and will likely open in mid to late Summertime. V Twin Brewing Company is still in the process of raising needed funds and making plans for their new location. But, while they still have a lot of work ahead of them, V Twin Brewing already has a location. The new brewery will be located at 2302 N. Argonne Rd. Suite H , in a small shopping center just south of Argonne Village which they will remodel for their use. V Twin might be the new guys on the Spokane beer scene, but they are certainly not new to the business of brewing excellent beers. That's because business owner , Barry Black , has spent several years as a avid home brewer. Black even placed 4th for the 2015 Battle of the Homebrews at Spokane Interstate Fairgrounds out of 50 different brewers. The brewery will be a small operation, with a 3.5 barrel brewing set up. V Twin Brewing Company will not have a food menu, but will allow outside food to be brought into the brewery. Also , some food trucks may also make stops at V Twin once they open. What they will have however are several locally produced beers . We'll likely have more on their beers and opening date as the time gets closer. The signs are now up and lit on the next chapter of the former Spokane House Hotel building. That building, which is located at 4301 W. Sunset Hwy has been undergoing a complete remodel since early Summer. The business owner, Pintu Bath , has invested millions in the building, which actually was empty for a short time. The five story hotel building was built in the 1950's and has played it's part in the city's history, with rooms and at one time a bar & restaurant. 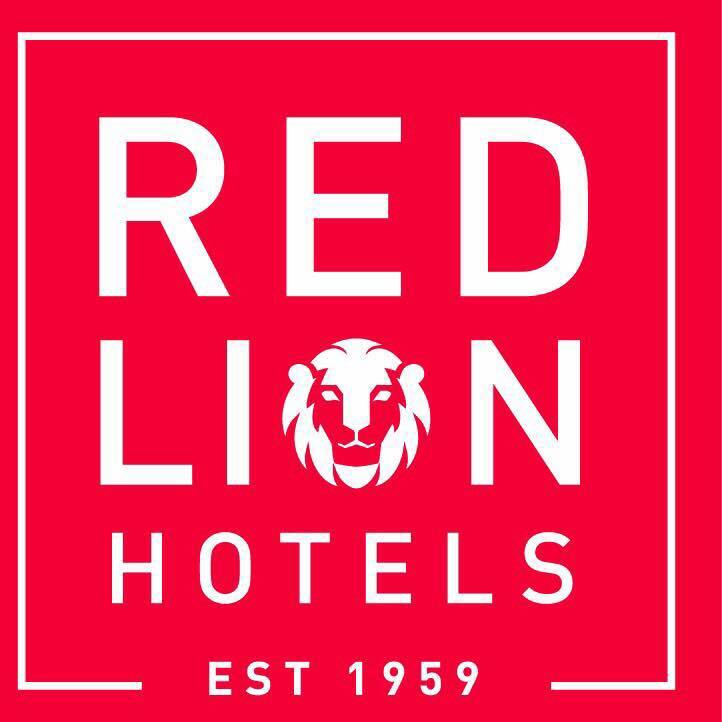 As part of the remodel, the hotel has been rebranded under the Spokane based Red Lion Hotel brand. 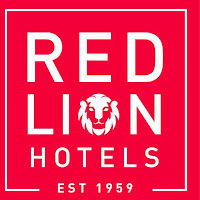 The hotel will now be called Red Lion Inn & Suites Spokane and is a mid level hotel with over 80 updated hotel rooms. It is also in a prime location off of I-90 at the top of the Sunset Hill, it is also in a convenient location for travelers using Spokane International Airport, with the terminal being only a couple of miles to the West. Pets are also welcomed for a small fee. Despite the hotel once having a restaurant in the building, the new web site shows no restaurant, but several restaurants are within a easy drive from the hotel property. This is one of two local projects for the Red Lion Hotel chain. This as remodeling is still underway in Downtown Spokane at the Red Lion at the Park, which is becoming a upscale Hotel RL branded hotel, a sister brand of Red Lion. La Michocana has fully remodeled the building and now has all operations at the site. The new La Michocana has a little more of a restaurant focus then before, with an sizable menu of authentic Mexican dishes . Beers are now available, and more seating has also been added. But, just as before La Michocana also acts as a full Mexican grocery, with more products then before. Authentic grocery items dot the shelving rows and now they also offer an in store Mexican bakery, meat market and fresh bread and pastry's . Coeur Coffeehouse has been around Spokane for some time now, with it's coffee shop at the north base of the Monroe Street bridge ( 701 N. Monroe ) . And now the N. Monroe St staple is branching out, with the recent opening of a new second location directly in Downtown Spokane. 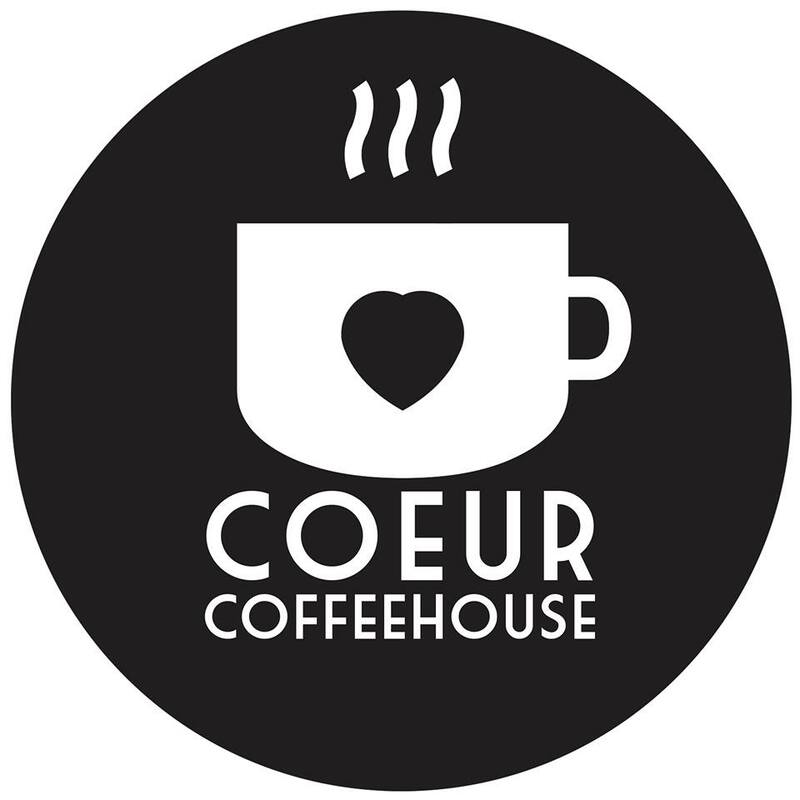 The new location, also uses the Coeur Coffeehouse name and can be found next door to The Bartlett and across from the Spokane Intermodal Center at 228 A W. Sprague Ave . The W. Sprague Ave Coeur Coffeehouse is mostly identical to the Monroe St location, except in size. The new location is a much more compact coffee shop, but still with inside seating. Also, the new " lil Coeur " has the same menu of excellent coffees, prepared by people who love and appreciate coffee. The menu is perhaps not as large as other coffee shops, but still has all of the drinks you'd expect from lattes to espresso, and drip coffee to cappuccino . For non-coffee drinkers tea and hot chocolate are also available, and for those looking for a quick bite they also sell a selection of pastries' . 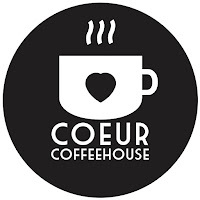 Coeur Coffeehouse is also big on art, with both the original and soon to be the W. Sprague location both acting as mini art galleries. Coeur is a 100% locally owned and operated business, and they work hard to use local ingredients whenever possible , like milk for Spokane Family Farm and honey from Chase Honey just to name a few. The Gap, once a popular clothing store in most every mall has joined several other mall based retailers in closing stores. The Gap plans to close a total of 175 stores nationwide, all at staggered closing dates. And, one of those closures will hit Spokane, with The Gap going out of business inside Spokane Valley Mall. The final day for the Spokane Valley Mall Gap store will be Jan. 26th with going out of business sales continuing from now up until that date. The Gap, is not leaving Spokane however as the store in Downtown Spokane's River Park Square Mall is planning to stay open. 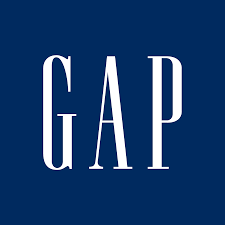 The parent company behind The Gap, Gap Inc. also still has a major presence in the Lilac City with an Old Navy in the plaza next to Spokane Valley Mall, and a Banana Republic located inside River Park Square.